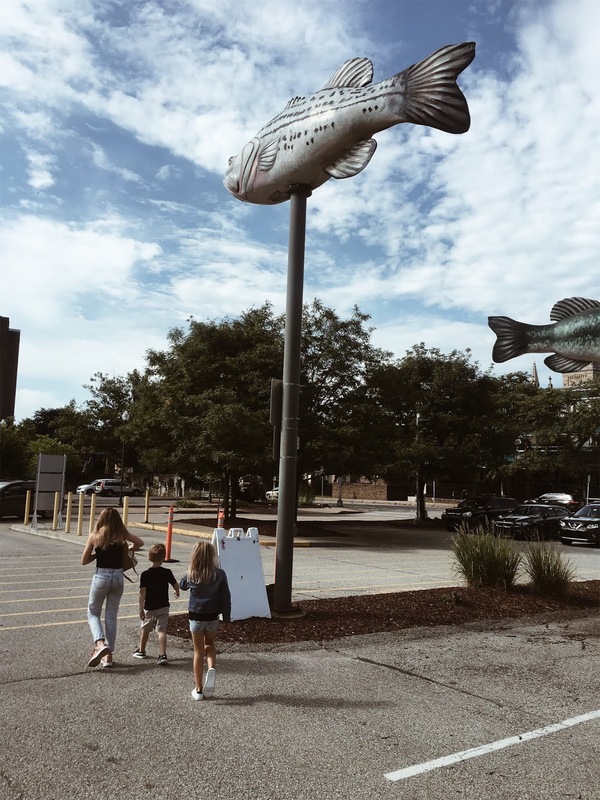 Last week on the blog, I shared a little bit about our family road trip to Pittsburgh, Pa. I mentioned that I would be breaking our trip up into 4 posts as we experienced way too many things, and took way too many photos to share in just one blog post. Today, I will be sharing our trip to The Pittsburgh Children's Museum. Can you believe we had never taken the kids to a Children's Museum before this trip? We've been to Science Centres and Art Museums etc but never to a museum dedicated to children. The kids were immediately intrigued by the sculptures outside the museum and as soon as we got inside we were greeted by a climbing maze. Emma was a little too big for this, so she headed over to the MakeShop while Audrey and Luca climbed for a good half hour. The Make Shop is a space for kids and families to create and play using every day objects! There was a variety of material to use from coffee filters to paper towel rolls. Emma was totally in her element and quickly got to work creating. She ended up making this beautiful doll using a skewer, paper, masking tape and coffee filters. After the Make Shop, we headed into the Studio where we were greeted with the most beautiful ribbon hanging from the ceiling. The girls found a table with water colour pencil crayons and quickly got to creating. Luca was not in the mood to sit down and create so luckily, there was a door to a wonderful backyard right off the back of the Studio space. Louis took Luca out to play while I stayed inside with the girls for a bit before we decided to join the boys. After the backyard we headed up to the Attic which was an absolute favourite for everyone because of the Gravity Room. 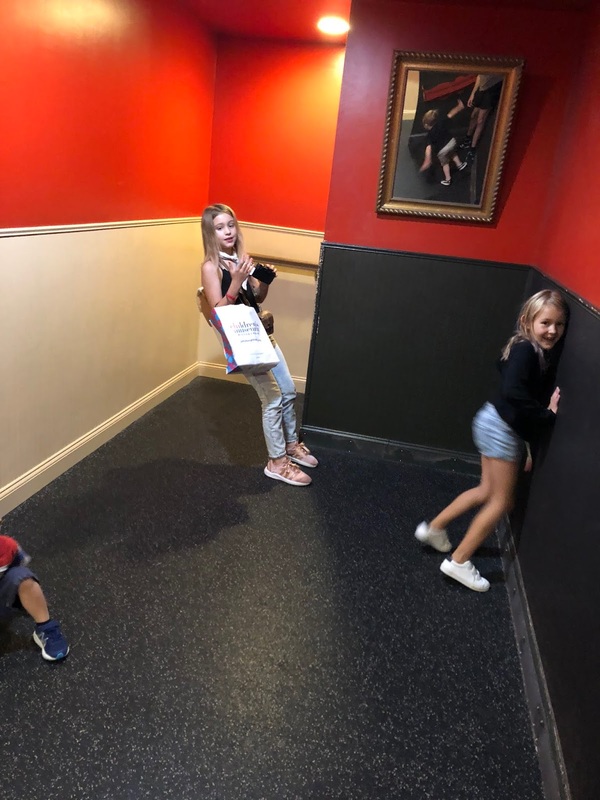 The room is tilted at a 25 degree angle which sends conflicting messages to our brains making it hard not to slide down to the bottom of the floor. While we were visiting, there happened to be a travelling exhibit by famous author & illustrator , Mo Williams, that was visiting the Childrens Museum. We are huge fans of Mo Williams books so this was a pleasant surprise. 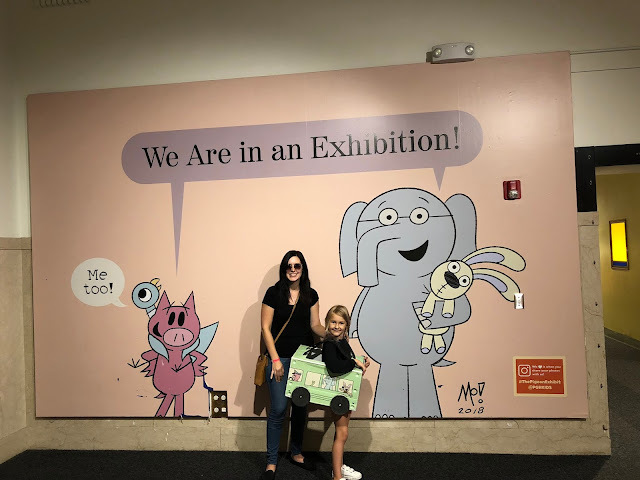 I have to say, this was by far the best experience in a museum we have ever had with our kids. There was something for everyone from climbing, to building to creating. I'll leave you with a few more photos from the museum and I highly recommend visiting The Pittsburgh Children's Museum with your children. There was also a Thomas the Train exhibit while were there.